Abaya is a traditional Arab dress which is worn in public places. Traditionally abaya is black color, but the fashion in the Muslim world is not standing still; modern abay can be juicy bright shades, are plentifully decorated with an embroidery, beads, pastes, sewed from silk and chiffon. And in some Arab countries abaya is obligatory clothes both for Muslims, and for foreigners which rushes together with a hijab or a niqab. The Arab dress caftan represents oar clothes of loose fit or fitted, buttoned or girded. 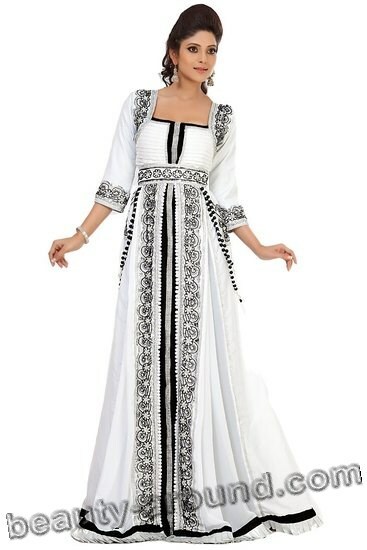 Generally female Arab caftan long-skirted (to ankles), sleeves surely long: narrow or wide. Caftans are sewed without collar with rather deep dredging of a collar in front that it was possible to see the dress decorated with an embroidery. 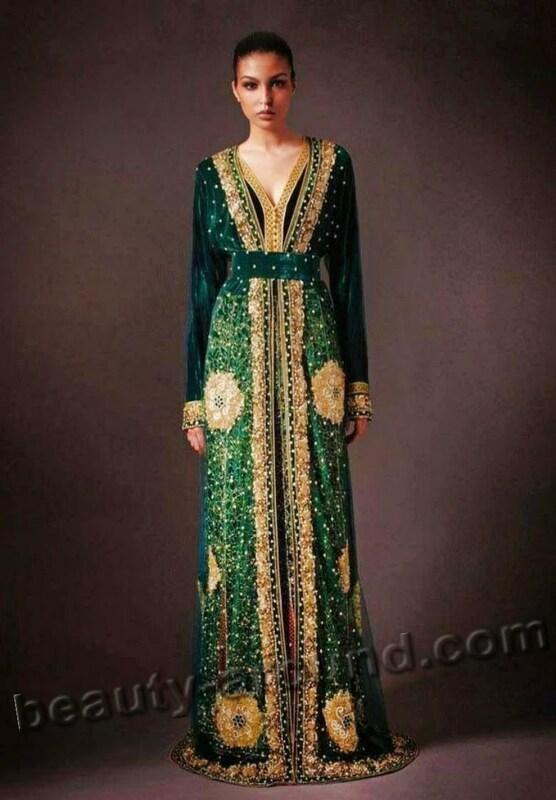 The traditional Arab dress caftan is allocated with excellent design and beauty. It is perfect for ceremonies and events of all kinds; sewn from high quality materials, embroidered with various stones, beads, rhinestones. This Pictures of the collected photos of the most beautiful clothes for Muslim women - abaya and kaftan. I watch your marvelous article and images wonderful colors designing so pretty thanks for sharing for me this blog. The Caftan is Moroccan not turkish or indian, it's a traditionnal dress from Morocco which has many years of existence like the "takshita". There's no such thing as turkish or indian "kaftan".